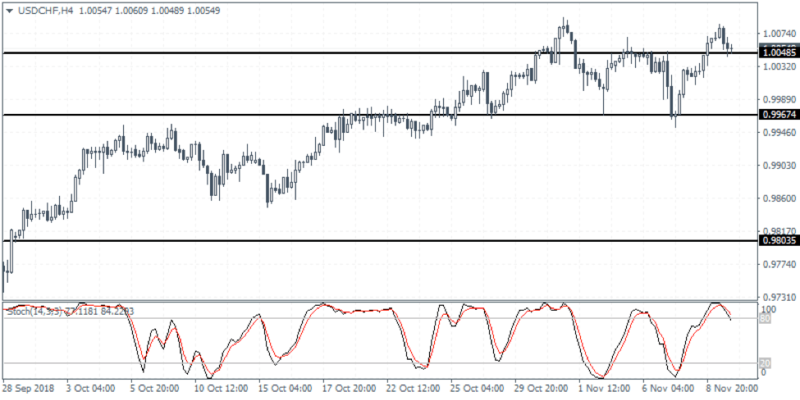 Chart set up: The USDCHF currency pair maintained the gains last week as price action was seen rising to 1.0080 level. This top was previously tested just last week. The failure to break past this resistance level could indicate some consolidation taking place. The reversal near the resistance level of 1.0080 signals a modest double top pattern. This could potentially signal a downside breakout. However, the lower support at 0.9951 will be key. A break down below this level could accelerate the declines as USDCHF would embark on a corrective mode. In the short term, we expect the USDCHF to trade within the said levels. For the week ahead, USDCHF is expected to be flat.